Browse our forums for the latest news and updates. Support GFL by making a donation and receive in-game perks. Become a Member and receive cool in-game perks. GFL is an ever expanding gaming community. Our servers are created, customized and optimized to give every player the gaming experience they deserve. In addition to this, we hand pick all of our admins and take pride in having the best team to keep our servers clean. We are always recruiting, and welcome new members daily. Feel free to apply for membership if you haven't already! Hi everyone, We are reintroducing our TF2 division. These servers are being hosted under our new network and ever since setting them up, have been doing fairly well. As of right now, there are no Division Leaders and Server Managers. The Directors and I will be managing the division for the time being until things stabilize and are proven to last. Servers 2Fort We've setup a 2Fort-only server with fast respawn two days ago. So far, it has reached 20+ players both days and filled up fairly quick. The server is basically vanilla apart from fast respawn and the 32-player limit. Orange X3 GFL's classic Orange X3 server is back! The server is running the original Orange X3 map along with having fast respawn. Apart from the location, the server is just like how it was back in 2011 - 2013 when it was the top Orange X3 server in TF2 (got to 8th in the world for all TF2 servers at one point via GameTracker). This was one of the first successful servers within GFL and apart from the old TF2Ware server (which may come back, who knows?! ), is the only server I've paid out of my pocket for back in 2011 (back when we had a private hosting provider on the West Coast of the US). I've honestly missed this server and I know many others have as well such as @Alejandro and @Ben. It got to 32/32 (full) the first night we've released it again (which was tonight). Therefore, I'm having confidence it'll do well. Here's a video by myself showing how the server was back in 2012. The server is setup very similarly now in regards to general game play: Mario Kart Mario Kart is another addition we plan to add to our TF2 rotation if everything goes to plan. GFL had a very successful Mario Kart server setup back in 2011 - 2013. It contained things like jetpack which made the server enjoyable to many. I plan to set it up very similarly with the classic Mario Kart map and jetpack plugin (if there's an improved version of the old plugin, I will use that instead). This was personally one of my favorite servers to play on back in 2011 - 2013. Here's a video I made back in 2012 showing how the server was: Conclusion We are starting out with these three servers to start. However, the first two have been off to a good start. I will continue to monitor their growth as time goes on and decide whether or not we want to open more servers. However, let's focus on these three first. I am also working to build an admin team for these servers as well and if the division seems like it'll be worth it in the long-run, we'll start looking for Division Leader(s) and Server Managers. If you have any questions, please feel free to reply. Thank you! Hello! We've decided that we're going to try to give games away every month as a way to give back to the community. I cannot promise that we will run a giveaway each month, but I will certainly try to. With that being said, we're going to start by giving away a copy of Don't Starve Together this month. To enter, reply to this thread. Members get 1 entry and Donators/VIPs get 2 entries (It does not matter when you purchased supporter/vip, as long as you are a current donator when I go and compile the list of entries). Rules: - Must not already own the game - Must be member to enter. If you have a suggestion for next month, let me know! Hi, this is just a server announcement stating that TTT UK is released now. The IP is: 185.177.22.161:27018 Features: Spec DM CS:GO Knives in Pointshop Several Player models 6 maps ttt_mc_67thway_b5 ttt_mc_dolls ttt_mc_frozen_cargo ttt_mminecraftcity_v4 ttt_minecraft_rooftops_b_v85 ttt_minecraft_redux Cool T weapons Extended weapons for innos to use Credits for folks who helped developing the server and giving feedbacks Almost all TTT admins @JadedJade @Dralga @Zero Not to mention... we're having a competitive giveaway for launch. 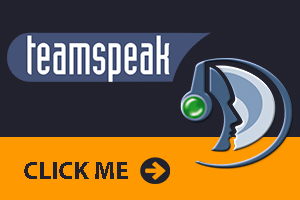 Number 1 on leaderboards for 2 weeks get permanent server-side VIP. Hello, we are back with another announcement - new Division Leader for Garry's Mod. Please join me to welcome @Fafy for his promotion as he is more experience with GMod technical and development side. Hello, I would like to announce the new Board of Director members and new Division Leaders for CS:GO. Please welcome @Liloz01 and @WigglesWorth as the newest member of the Board of Directorate, given with the work they've done within GFL as a leadership role under GFL teams. Now for the new CS:GO Division Leaders, please welcome @Leks and @Cobra, for their management experience with the servers. I'm very excited about GFL in general, I'm looking forward to working with Wiggles and Oscar(Liloz01), and to see CS:GO Division to improve as it goes on. Hello everyone, I would like to announce the release of a major project that we’ve been working for the last three weeks or so. 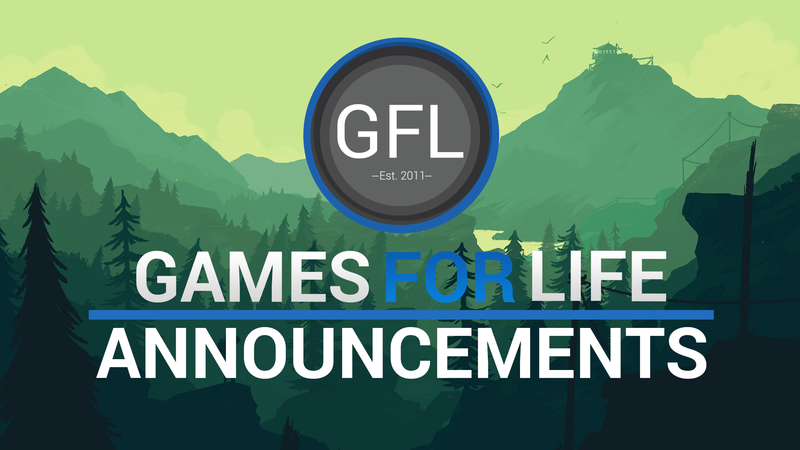 GFL now owns its network that will be running in-front of our future game servers! This is by far my most favorite project I’ve worked on, ever. While the last three weeks have been very hectic (exchanging many emails/tickets/paperwork, actively trying to learn BGP routing + BIRD configuration, and so on), I do believe the end result will definitely be worth it, especially for GFL! I can say personally that I am learning a lot from this project and it further advances my knowledge in networking as a whole. Our New Anycast Network@Dreae and I decided to build an Anycast network to put in-front of GFL’s game servers. For those that do not know what an Anycast network is, this article by CloudFlare explains it well in my opinion. Anycast itself will benefit us because we’ll be able to absorb and filter (D)DoS attacks at the PoP server level. This results in overall better (D)DoS protection. With that said, the more PoP servers we have, the more network capacity we’ll contain. Our Current Setup As of right now, we have nine PoP (Point Of Presence) servers scattered around the world and plan to add more as time goes on. These locations include: Dallas, TX (US South). New York City, NY (US East). Chicago, IL (US Central). Miami, FL (US South). Los Angeles, CA (US West). Seattle, WA (US West). Paris, FR (Europe). London, UK (Europe). Frankfurt, DE (Europe). Here’s our Anycast layout. As of right now, we’re using the Vultr setup and don’t have any PoP servers in Tokyo and Singapore. Though, we plan to get PoP servers in these locations in the future. As of right now, the above PoP servers combined cost us $135.00/m. Our PoP servers run SRCDS packet filtering software made by @dreae which is open-source and can be found here. @Dreae has done a great job with this! Ongoing Maintenance Due to the nature of routing and networking, this new Anycast network will more than likely require active monitoring for sub-optimal routes due to things always changing. This is why we have made the following sub-forum: https://gflclan.com/forums/forum/959-gfls-network/ In here, we will make a form where users can submit sub-optimal routes they find to our PoP servers via traceroute/MTR. With that said, we will be posting maintenance and outage events in here as well. @Dreae and I are still exploring the world of BGP routing and BIRD configuration. However, we are making progress by using BGP communities and so on to influence routing to our PoP servers. I hope we can eventually find something better than BGP communities, but it’ll do for now. F.A.Q.Q - Do you plan on making a public guide going over how you’ve done all of this? A - Yes, @Dreae and I plan to be as transparent as possible. We will be making a public guide in the future explaining everything we had to go through in order to create this network. We are still pretty new to all of this ourselves, but as time goes on and we learn, we will be making our techniques/advice public! Q - Would you be up to host non-GFL servers via the Anycast network? A - As of right now, this will be used specifically for GFL only. However, I am considering this in the far future (I’d LOVE to become a hosting provider some day, but A LOT goes into that and I need to gain more knowledge in networking itself before that’s a possibility). Q - Do you plan to use other providers to host your PoP servers? A - Yes, this is the plan and overall, this would make our network better since we wouldn’t be relying on one hosting provider to host our PoP servers. However, in order to do this, we will need our own ASN for our IPv4 block. This is a longer process since it requires verification, contracts with at least two transit providers, etc. However, in the next week I will be looking to apply for one through RIPE (our IPv4 blocker provider can sponsor us and we have two transit providers as well). Our New IPv4 Block We have leased our very own /24 IPv4 block. This comes with 256 IPs as Anycast only supports a minimum of /24 IPv4 blocks. Thankfully, we were able to get this entire IPv4 block for only $56.00/m, which in my opinion, is a very great deal! The IPv4 block is 92.119.148.0/24 (usable IPs go from 92.119.148.2 to 92.119.148.254). While being able to use this with our Anycast network is a benefit of its own. There are also other benefits of owning an IPv4 block. For example, if we were to want to switch physical hosting providers, we can do so without any IP changes as long as it’s a BGP-supported hosting provider. However, since our Anycast network itself forwards traffic from the PoP servers to the physical hosting provider, we won’t need a BGP-supported physical hosting provider. Thankfully, our new physical hosting provider has BGP-support either way. Therefore, if we were to remove our Anycast network for whatever reason, we can still setup a BGP session with them which will result in our IPs still not changing. Geo Location Since this IPv4 block was purchased using RIPE, the geo-location of the block was either non-existent or pointing towards somewhere in Europe. We want this to be set to Dallas, TX, US to start. I’ve emailed three of the biggest geo-location database providers (MaxMind, IP2Location, and Neustar). MaxMind has already made this correction last week. I emailed IP2Location last night and they replied wanting further verification which I then provided. Therefore, I am just waiting to hear back from them. Neustar has yet to reply. I believe the Valve Master Server may use IP2Location (I initially thought they used MaxMind, but I believe I’m wrong). Therefore, our game servers under this IPv4 block may show up late or incorrectly in the Valve server browser based off of the client’s geo location. Once the correction is made through IP2Location, we’ll just have to wait for the Master Server to update their database. As soon as that’s done, we should be good to go! Acquiring Our Own ASN The next big process is acquiring our own ASN. As of right now, we have to use a hosting provider’s public ASN (in this case, Vultr’s) since we don’t have our own. Once this is done, we’ll be able to use multiple hosting providers for our PoP servers. This will make our network more stable/better and less costly since we’ll be able to use cheaper and more efficient providers with lesser locations. Our IPv4 block provider will be able to sponsor us. Therefore, the only other thing I will need is contracts with two transit providers (I believe I have two I can use) and my driver’s license. After I apply for our own ASN, the process itself will take around 2 - 3 weeks. New Physical Hosting Provider In US In addition to the above, we have found a new physical hosting provider that will be ran under the new network. We have purchased two machines from this new hosting provider which are the following: First Intel Xeon E3-1271v3 @ 3.6 GHz. 32 GBs of DDR4 RAM. 500 GBs SSD. 15 TBs bandwidth. $80.00/m. Dallas, TX, US. Status - Active. Second Intel i7-7700K @ 4.2 GHz. 64 GBs of DDR4 RAM. 500 GBs SSD. 15 TBs bandwidth. $120.00/m. Dallas, TX, US. Status - Inactive (still being built). I was aware that our GS06 machine was very overloaded. Therefore, I decided to purchase two machines from the start to be on the safe side. This hosting provider will be able to setup machines within a reasonable time-frame as well and appears to always have dedicated machines available on the spot. The first machine will host medium-ranged servers (e.g. <40 slot servers). The second machine will be used to host our bigger servers. We found that this hosting provider also has pretty decent routing and good support. I believe they’ll work for us in the future! In the end, if they don’t, we’ll be able to switch hosting providers without changing IPs What Servers Will We Be Running? With the new physical machines, we will have a lot of room to play with. We will be moving servers over to this new network that aren’t so popular. We will primarily move servers in Garry’s Mod and Rust. Unfortunately, any moved servers will require an IP change. But I’m very hopeful that’ll be the last time we switch IPs We also plan to setup new servers as well! As soon as our IPv4 block’s geo location is corrected, I believe we’ll be good to go. As of right now, I don’t have any list of servers we’ll be moving. This will be up to the Division Leaders + Directors. I will say I would like to see our Garry’s Mod servers from GS06 moved along with Rust. Test Servers I’ve setup some silly test servers on our first new physical machine. You can find all servers that run under our new IPv4 block on GameTracker here. Feel free to connect to these servers and see how your connection is from the PoP servers to the new physical hosting provider! Remember, you will be able to submit sub-optimal routes if you have one under the new network forum found here. Special Thanks To @Dreae! I just wanted to thank @Dreae again! He has been a big help with this project. He has made the packet filtering software that runs on all of our PoPs, given advice on the network setup itself, altered some needed routing via BGP and BIRD, and more! This project definitely wouldn’t be possible without him. Conclusion All in all, this is a BIG addition to GFL. There are going to be required tweaks in the future and there is still a lot for @Dreae and I to learn. But I am confident we’ll do great! I have yet to see another gaming community that hosts game servers have their own network that runs in-front of their game servers. I believe this will be something special to GFL. I’m hoping the public guides @Dreae and I post publicly will influence other gaming communities to do the same since in my opinion, this is fairly cheap to setup (the entire setup itself is costing us <$200.00/m and we will be able to get that cost down once we acquire our own ASN). It might be hectic at first, but if you’re interested in networking, you’ll definitely enjoy and learn a lot from it You’re basically becoming your own mini-ISP! If you have any questions, please reply to the thread or post in the GFL Network sub-forum! Google Doc Thank you for reading!